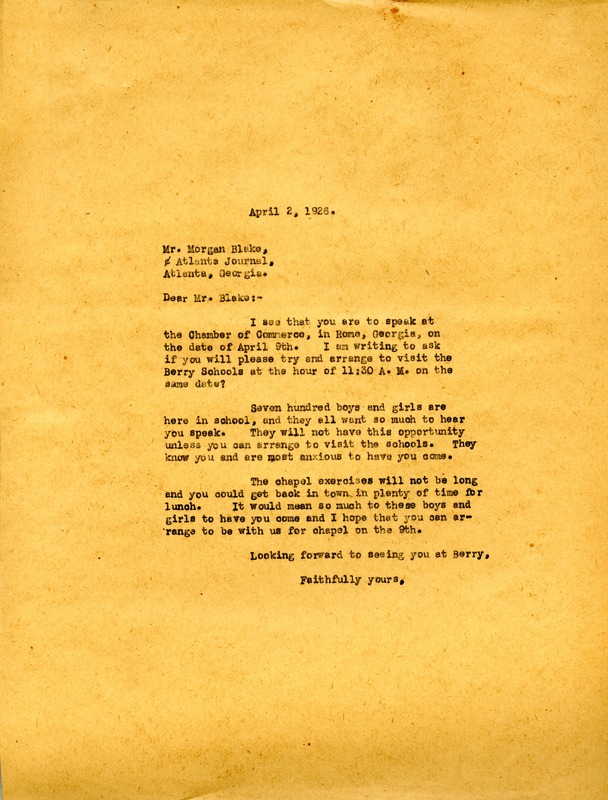 The Berry Schools would like Mr. Blake to make a visit to the schools on the same day he is scheduled to speak ay the Chamber of Commerce in Rome, GA.
Martha Berry, “Letter to Morgan Blake from Martha Berry.” Martha Berry Digital Archive. Eds. Schlitz, Stephanie A., Sherre Harrington, Danielle Columbo, et al. Mount Berry: Berry College, 2011. accessed April 22, 2019, https://mbda.berry.edu/items/show/830.